Want a PPC Job? Know the answer to this one question! Hiring quality PPC managers was always very difficult. I reviewed thousands of resumes, had hundreds of phone screens, tons of in person interviews and even made a few hires along the way. With so many data points to reference between candidates, I started to develop a profile of the ideal PPC candidate. The best candidates had qualities that rarely made it into a job description or a resume. 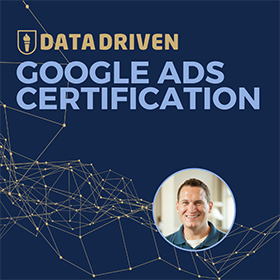 Sure, being Google AdWords certified would help you get a phone interview, but you still needed to prove yourself worthy. So what was the #1 quality that I found for great PPC Managers? It wasn’t a formal education (although finance majors were always great at managing PPC). It wasn’t job history (although previous experience did help get interviews). It wasn’t excellent oral and written communication skills (because nobody writes mediocre written skills on their resume). The best candidates were so fascinated by the Google AdWords system that they took time to learn everything they could about how things work. They knew all of the base metrics they had at their disposal, how to read them, and they understood their impact on results. They also were constantly seeking ways to do their job better and more efficiently. Those seeking to do their job better and more efficiently would always stumble on the same tool: Google AdWords Editor. That leads us to the question that ultimately would determine if someone had the curiosity and knowledge necessary to be a great PPC manager. There are so many ways to answer this question, and there really isn’t a wrong answer. As long as you named a feature of course. How was this answer so effective? Because you can immediately tell from the answer whether the person was bulls****ing you or not. If they didn’t use AdWords editor, they weren’t very curious. If they had been meaning to use AdWords editor, but never downloaded it, they were still beginners. If they gave a vague answer that wasn’t really a feature, then they were probably bulls****ing and never used it. Because the best managers were so passionate about AdWords Editor that they could barely contain their excitement when discussing features. They had trouble naming just one feature. They were truly grateful that the product existed, because of everything it represented in their day to day workflow. One tool. One beautiful, amazing, free to download desktop tool is all it took to gauge how you were going about your PPC career. How is that fair? How can an answer to a tool be so revealing? Does that mean you wouldn’t hire anyone who didn’t answer? You probably have some questions about the simplicity of the statement I made above. How could you possibly know if someone would be good if they answered a single question? When you go through the hiring process, you have two responsibilities: 1) Hire someone who can get the job done exceptionally and 2) Hire someone who fits your culture. When you see thousands of resumes come across your desk, you start to focus on solving the first problem. You need to whittle that list down to potential phone interviews. 10% will make that cut off the bat. Side note: if 10% seems low, it is because many people will just apply for every job posting on the web. Then they will get offended when they don’t hear back. I was equally offended that you thought you could waste my time and I was obliged to read your resume that was addressed to the wrong company. Even if you only select 10% of resumes for a phone interview, at 30 minutes each phone call you can spend 5-10 hours a week on the phone trying to find a candidate. This is where the AdWords editor question helped differentiate people coming in. The goal of a phone interview is to screen for people who can do the job well, and this was an important part of that screening. You didn’t have to nail the AdWords editor question, but it certainly helped you make it to the next step. When you start bringing in candidates for in-person interviews, it is all about determining how they will fit into your work culture. If they can do the job and have demonstrated knowledge, then you make them an offer, right? Not so fast. There was one last step that we added to the process to determine the best managers. A written test that showcased their critical thinking skills. How would they handle the daily rigors of working at the company? How do they apply their understanding of PPC to thinking critically about solving problems? When fairly sure about a candidate, the test responses always pushed them over the edge. You can find more on this test while taking the PPC Course. What is your favorite feature in AdWords Editor? A quality answer to this question didn’t guarantee you a job, but it definitely made candidates rise to the top. Their answers proved they were curious, and curious employees were a vital part of our company culture. This also came through in a test of critical thinking skills. It turns out that if you went through the time to make yourself more efficient with managing Google AdWords, the rest would work itself out. That is why this question was so important. Like these stories? Then you’ll love PPC Course! If you have noticed a growth in PPC related stories on this blog recently, that is because it has been on my mind. 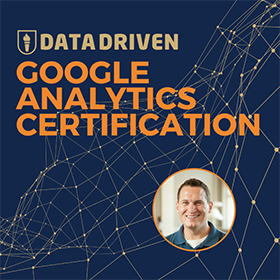 On February 1, I launched an early-bird version of PPC Course – a 28 video lesson course that teaches how to master the art of PPC with Google AdWords. 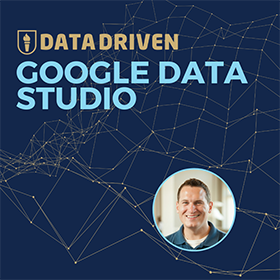 Each video is jam packed with wisdom gained over the past 10 years, war stories about building a PPC business, and all the things I did wrong along the way. While I am recording the lesson videos, I often say to myself “this would make a great blog post!” This is one of those posts that I thought was too good not to share. If you know anyone who is looking to get into a career in digital marketing and doesn’t know where to start, please do refer them to PPC Course. Prices are quite reasonable and I did not hold back a single piece of information while creating the lessons. H/T to Jaradwords for being my partner in crime throughout so much of this. You are the best.